Curious about venturing into vegan snack territory but don’t know where to start? Jump on this chance! Vegan Cuts just released a new Pantry Box. You’ll get lots of packaged vegan goodies for just $32. Unboxing a Special Delivery From Annie’s Homegrown – Vegan Mac n’ Cheese Products! 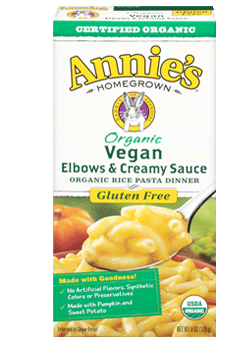 I recently received a sample package of Annie’s new mac n’ cheese products — Vegan Elbows & Creamy Sauce (Gluten-Free) and Vegan Shells & Creamy Sauce. 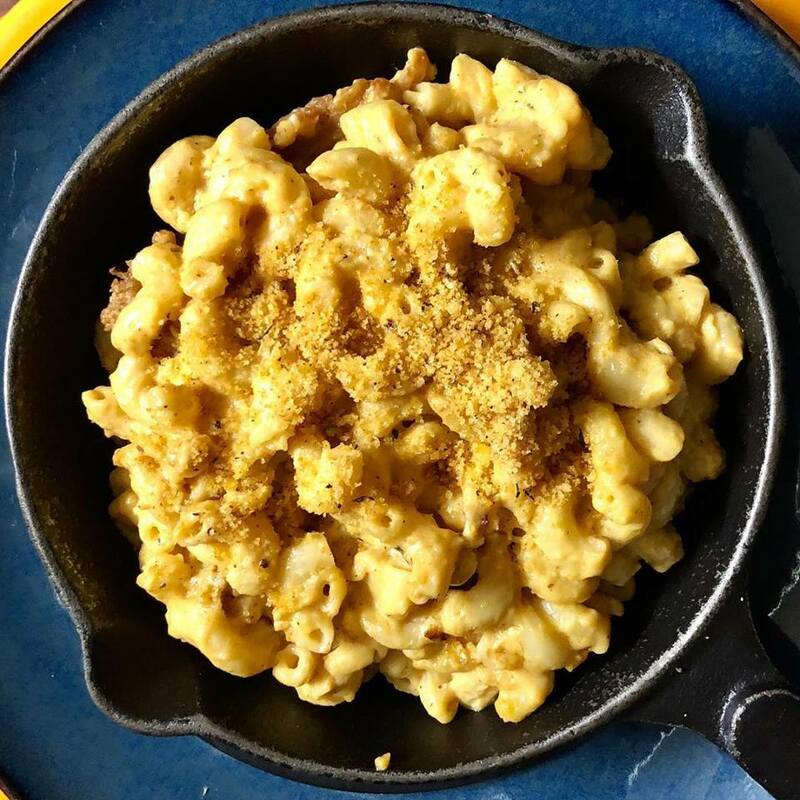 I love mac n’ cheese and try to make a homemade vegan cheese sauce as much as I can out of cashews and nutritional yeast. However, when I don’t want to make it from scratch, I usually opt for a boxed version since there are so many dairy-free choices now on the market! Tricks to Jazz Up Your Convenience Food Meals and Make Them Healthier! Sometimes, we just want to come home from work, pop a frozen dinner in the oven and relax. And that’s OK! But, if we’re going to do that, we might as well try to make the meal as healthy and nutritious as possible. That’s where veggies can come in handy, whether they’re fresh or frozen. I kept myself very busy throughout college and didn’t have much time for cooking, so I gravitated toward food that was easy to make or or could travel with me in my backpack. My list of dorm room snacking essentials is perfect for busy college vegans and vegetarians. Parents, try making a care box with these items for your college kid. Have you heard of Chloe Coscarelli? She’s a beloved vegan chef who rose to culinary stardom after winning Cupcake Wars a few years ago. Then, she came out with a few cookbook, like Chloe’s Vegan Italian Kitchen. Now, she’s in the restaurant business! About a month ago, she opened her new restaurant on Bleecker Street in NYC called by CHLOE. I’ve been there twice now and, yes, I’ll say I’m a cult follower. It seems I’m not the only one! Annie’s Homegrown now offers Organic Vegan Shells & Creamy Sauce, as well as Organic Gluten Free Vegan Elbows & Creamy Sauce! They are similar to other boxed mac n’ cheese products that sit on the shelf, and they’re perfect for young people, college students, busy families, and anyone who wants an easy-to-make meal. How cool would it be for vegetarians and vegans to have access to a meatless fast-food restaurant? What if we could order items that are similar to those at McDonalds, Taco Bell and Pizza Hut, but in a totally meatless fashion? Such a dream has arrived! Amy’s Kitchen is set to open an all-veggie drive thru in Rohnert Park, California this July.